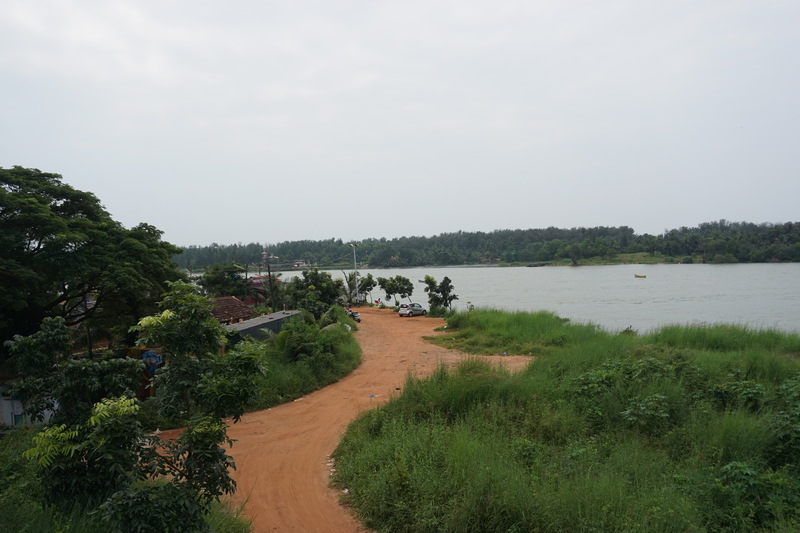 This time for our trip (it has almost become an annual ritual), we took an overnight bus from Bangalore to Mangalore. I was warned by the regular electrician at our apartment that the road would be bumpy. (He lives in northern part of Kerala and frequently commutes via Mangalore.) I had no choice. Although I would have preferred a train ride, I failed to reserve berths in any of the trains owing to the Diwali-weekend rush. Our booking was in Treebo Pappilon Palace, a lodging that was right at the heart of the city. We were there at 6:30 am — a full five-and-a-half hour ahead of our check-in time. The hotel charged us an early check-in fee, which I gladly paid. We had to freshen-up after the bone-shattering bus ride. My mom was afraid that my sister would fall off the upper berth of the sleeper bus. Even though I had booked the berths closer to the front axle of the bus, where effects of bumpy roads are less felt, it did not ease the journey. I had already made arrangements for a day ride via a taxi agency. Our driver, Ramnath, was promptly waiting for us at 8:30 in the morning. For the entire day (or the eight hours that we had booked) we were at the mercy of Ramnath’s knowledge of Mangalore’s historical and interesting places. In hindsight, he was an enthusiastic fellow but his knowledge of touristy places could do some work. We visited two temples and a church inside the city. 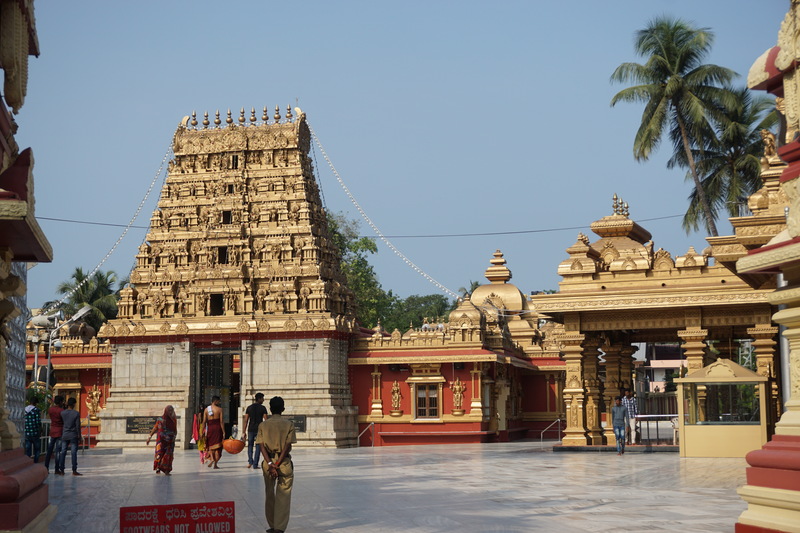 First was the Kudroli Gokarnatheshwara temple. It’s right in the heart of the city. There used to be an old temple but the entire complex was renovated in 1991 by the then prime minister Rajiv Gandhi. Looking around the plaques that promptly display the donors’ and inaugurators’ names, it becomes pretty evident that there is some bit of political influence by a certain party. However, common folk aren’t interested in politics. They come as nothing more than devotees. We were nothing more than ordinary tourists either. My mom debuted her smartphone camera by clicking a lot of pictures. The temple premises were clean and serene. The main premise of the temple. Next, we visited St. Aloysius Church. It houses frescos, murals and paintings done by Antonio Moscheni and has quite a bit of historical significance. It is one of the few (and probably the most elaborate) Italian style paintings available in India. The saline winds and the humid weather of Mangalore hasn’t been kind to the frescos. Photography wasn’t allowed inside the chapel. Every twenty-five years or so, experts are called to clean the paintings. The last record shows that Indian National Trust for Art and Cultural Heritage had worked on the restoration in mid-90s. St. Aloysius High School and St. Aloysius College are on the left and right side of this sculpture. The chapel is the adjacent building to the left. Finally, we went to Kadri Manjunath temple. At the suggestion of Ramnath, we started at the top (near Kadri Park), visited the ashrams and mathas before descending to the temple. We were barefoot the whole time. (We had left our shoes in the cab.) By the time we exited the temple, the sun had heated the tarmac up so much that it felt like the ritual of walking on fire. 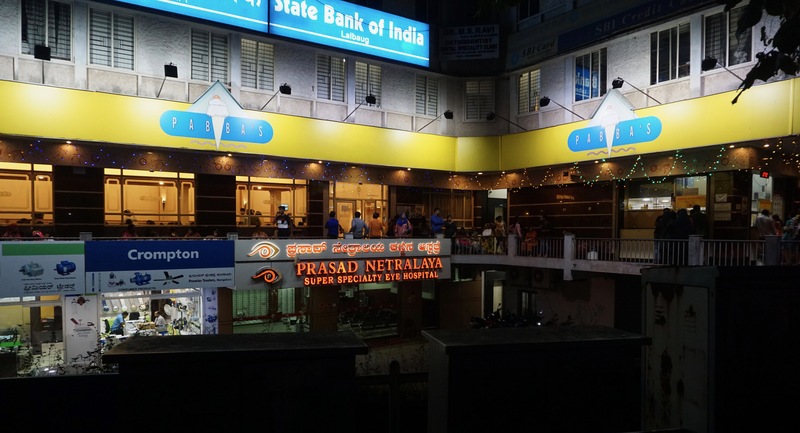 Inside the complex, there were many hoardings that announced and advertised events that made it pretty evident that there is some bit of political influence by a certain party that is not the same as the certain party that patronises the temple we had visited earlier. Again, just like the other temple, common folk and the ascetics are nothing more than devotees and tourists. 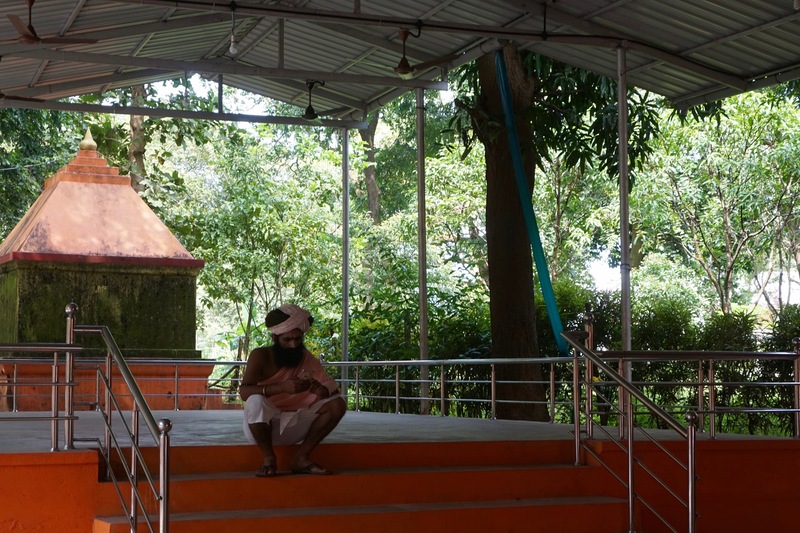 A sadhu resting inside the ashram courtyard. 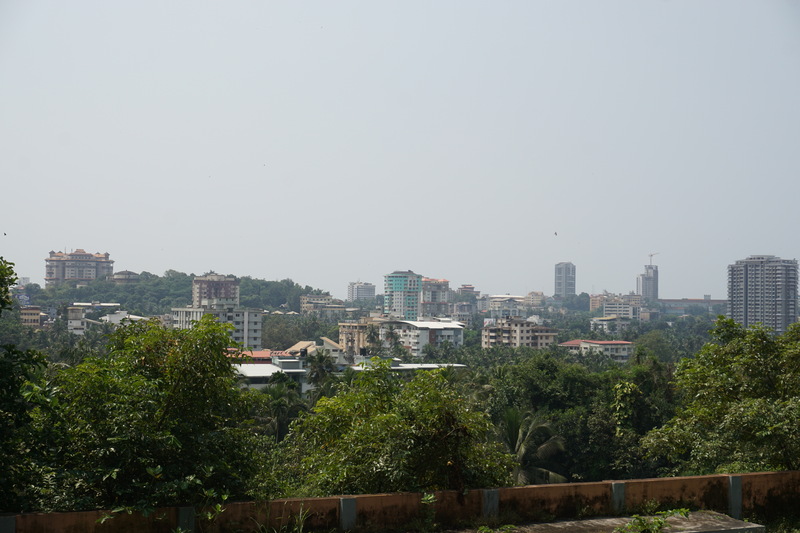 View of Mangalore from Kadri hill. 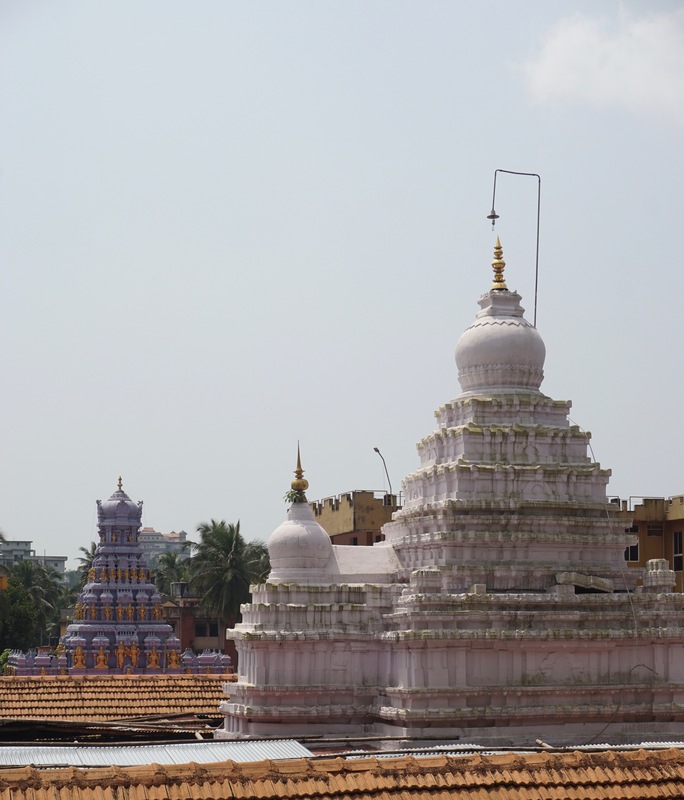 The gopurams of the temple located in the lower courtyard. After that, Ramnath took us to Pilikula. 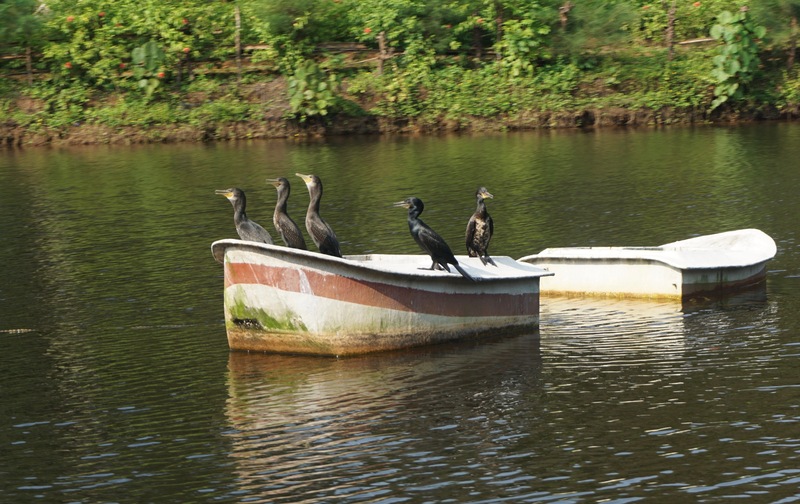 We spent the rest of the time walking through the zoo (named Pilikula Biological Park), followed by some vegetarian food at the only restaurant (named Pilikula Restaurant) and taking a boat ride in Pilikula Lake inside Pilikula gardens. Inside the garden was a large sculpture of a fish and a replica of Eiffel Tower. 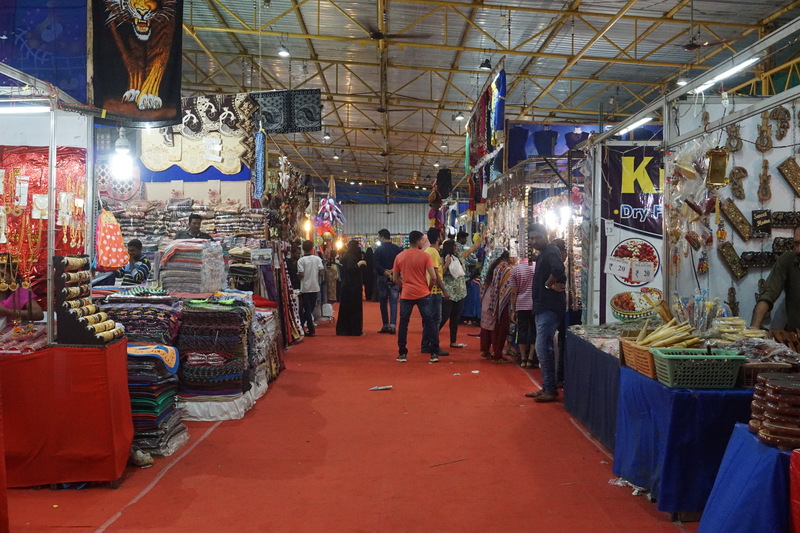 Mangalore was hosting National Consumer Fare near Lalbagh. A ferris wheel was visible from afar. This piqued my interest. I felt like we should get inside. For fifty rupees entry fee per person, we spend about an hour visiting shops that sold books by weight, trinkets, cosmetics, pickles, home decor, mixtures and fast food in general. 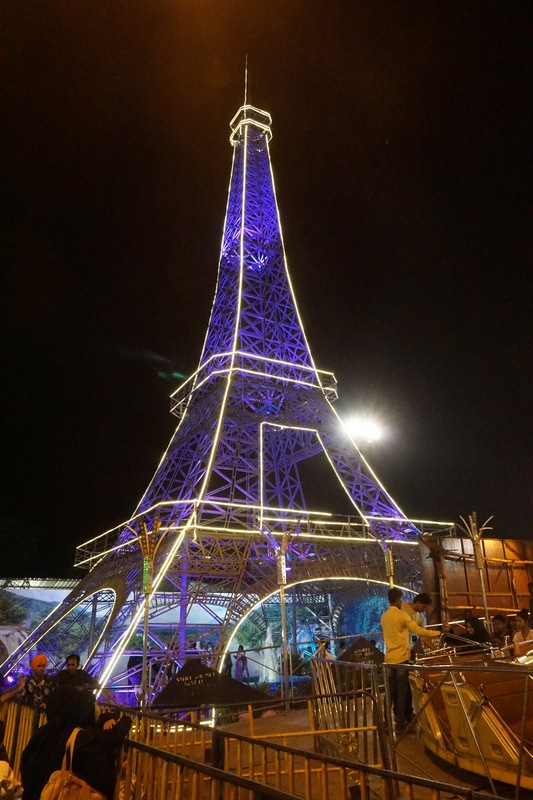 There was a replica of Eiffel Tower here, too. I have no idea what fascination do Mangaloreans have with a monument that is roughly 7650 kilometres away. 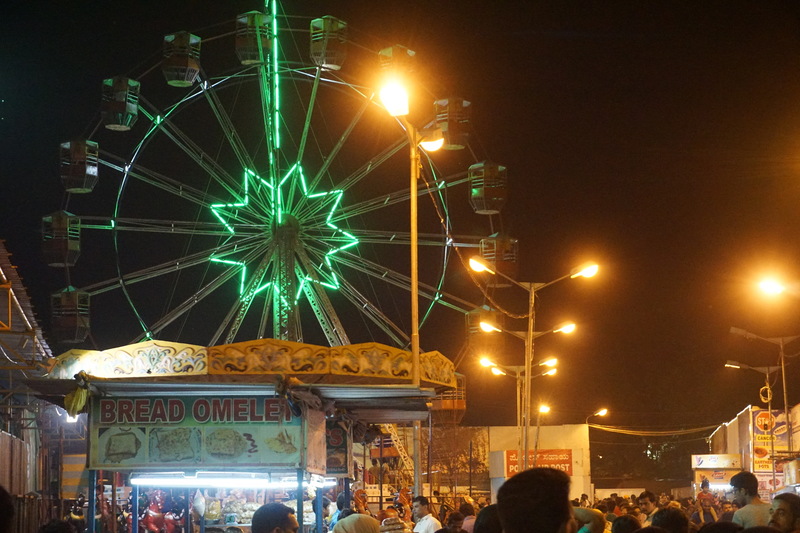 Meanwhile, my sister was busy observing the rides inside the fare and reminiscing about the ones she had ridden when she was a kid. Later that night, we stopped by Sizzler’s Ranch, an upmarket restaurant. Although the food was decent, I had higher hopes for the prawn dish we were served. Being the Diwali weekend, most of the hotels were either full or were charging exorbitant prices for extended bookings. Pappilon Palace did not have any vacancy for the next day. I had booked another place near Bunder area called Bombay Residency. This particular hotel was cheaper and much better. 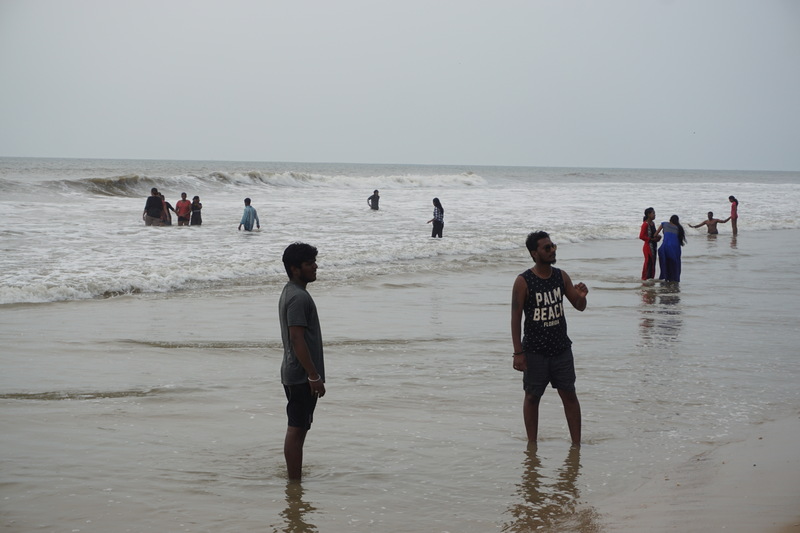 It was also closer to Tannirbavi beach, which is where we had planned to spend our entire afternoon and evening. 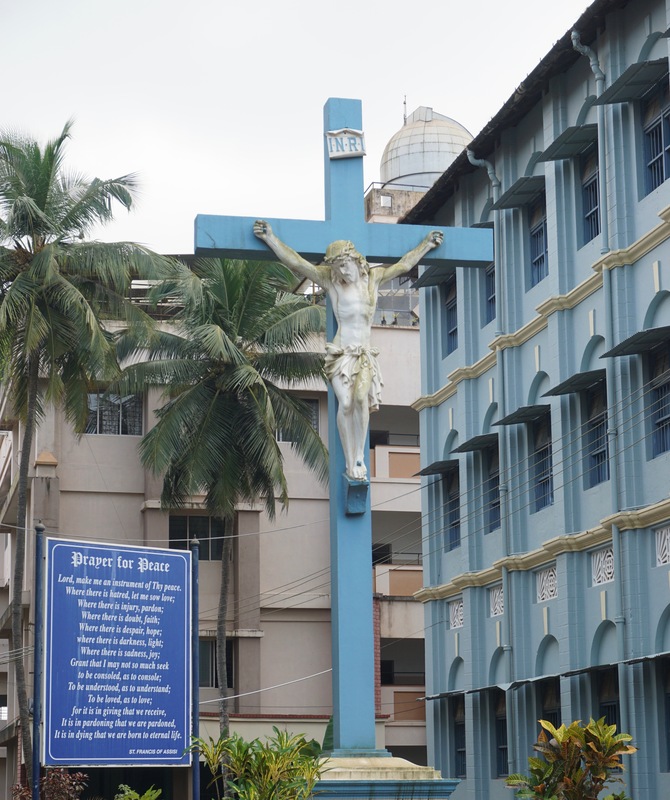 Right behind the ferry ghat on the other side, was St. Fatima’s Church; and in front of it was a shack called Waves Cafe. It was a very nice place for our lunch. We had originally intended to have our lunch at the hotel before heading off to the beach but Bunder area, mostly populated by Muslims, virtually shuts down at Friday noon owing to their communal prayer session. The food at the cafe wasn’t extraordinary but had tremendous value for money. Not to mention, whatever we were served was fresh and piping hot. We spent the entire afternoon and evening getting our feet wet, collecting shells, chasing sand crabs and drinking lime soda. We stayed there until the sun had set beyond the horizon. 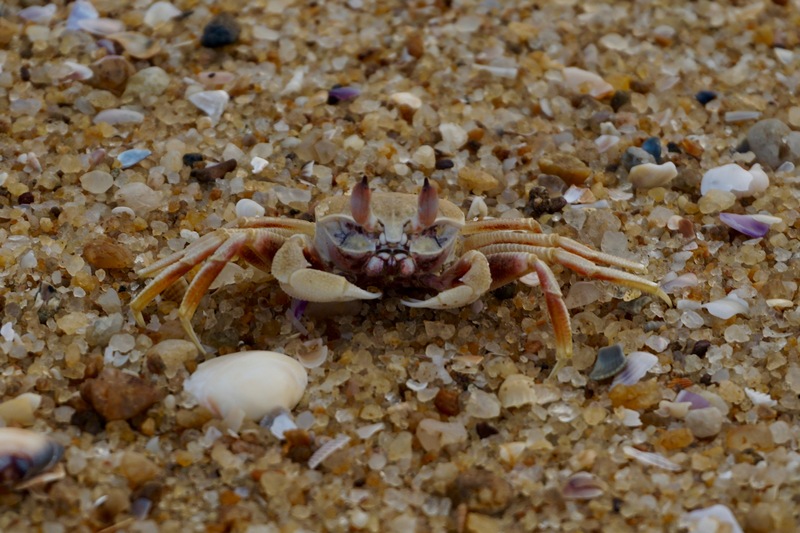 I had chased a lot of crabs. This was the only one that I managed to take a proper photograph of. 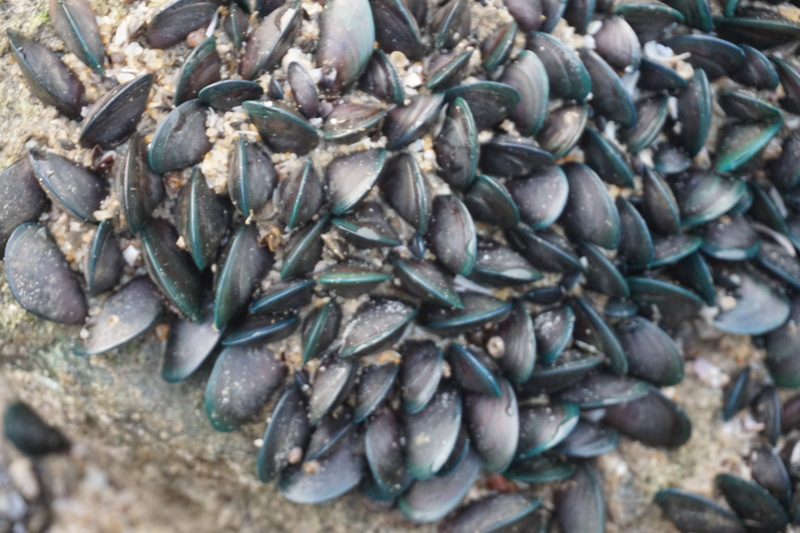 Live oyster colonies on rock. 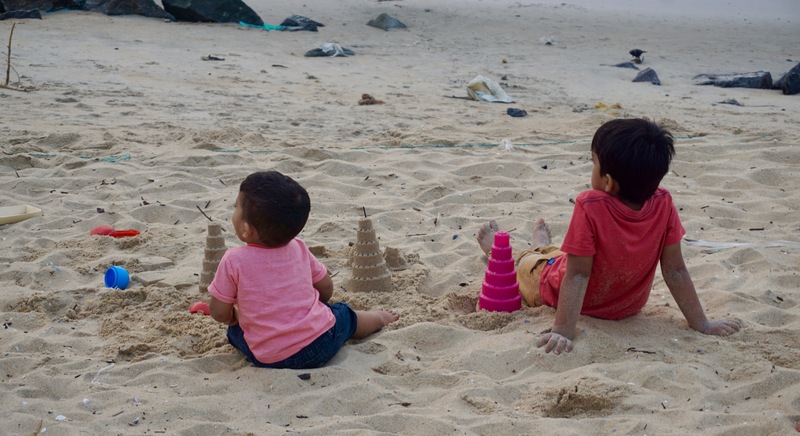 Kids making “sandcastles in the sand”. The last ferry back to Sulthan Battery is at 7:20 pm. We had this idea of visiting Pabbas for our dinner. The restaurant maintained a queuing system, wherein I had to collect a token number and wait until I was called. This ensured that here was no rush inside the restaurant and our order was properly attended to. We shared the famous Gadbad sundae of Mangalore, a Parfait sundae, a pizza sandwich and some cutlets (my mom really liked those) before taking an Ola back to our hotel. Note: This blog entry documents our trip on October 19-20, 2017.